When your significant other has that ring on their finger, the quality is a reflection of the entirety of your time together. That ring encapsulates the entire history you have with them and it should shine as brightly as your marriage will. It can be hard, however, to tell at a first glance if a diamond is real or how high its quality is. The easiest method is to see if the diamond is GIA-Certified. If it is, it should have a come with an official GIA certificate and some even have the GIA number inscribed on them. 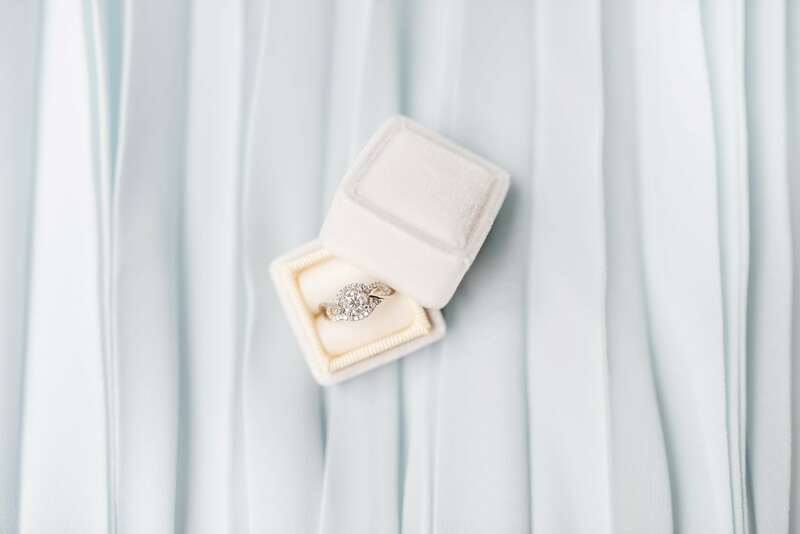 The certification was developed in part because it is so hard to tell the quality of a diamond from a glance and most of us aren’t exactly specialized in determining the brilliance of a gem. We’ve put together some information on GIA Certified Diamonds to help you out! Size is the easiest visual indicator and weight can be accomplished with a scale. The price of a 1 carat diamond will be significantly more than, say, a .75 carat. However, it’s important to consider all 4 C’s, as they call them. Carat Weight, Color, Clarity and Cut. We’ll view these below. The idea with color is diamonds is simply this: we don’t want any. Color takes away from the quality of the diamond and specific colors can hurt the brilliance more than others. For example, brown and yellow tinges are common but red colors will decrease the value of a diamond significantly. There are special cases where they can actually increase the value, such as red diamonds, but these are rare. In general, unless you’re shopping for a member of the royalty, you’ll want as little color as possible. Contrary to popular belief, the cut does not refer to the actual shape of a diamond. Terms like “princess diamond” and “pear” do not actually refer to cut. When diamonds are cut, the cut needs to be performed in a certain way that lets light escape in a proper manner. This is very important, because poor cuts can refract light differently and dampen the brilliance of your diamond. We could go into brightness, scintillation and a bunch of other terms, but to keep it simple: if the diamond gives a bright, “sharp” appearance then the cut is generally high quality. When viewing the diamond, make sure there is good lighting in the room or area you’re in. A good diamond can only reflect a good light source and if it gives that sharp, bright shine then you’re likely looking at a nicely cut diamond. Finally we have Clarity, which is more difficult to judge with the naked eye. This is where you look for imperfections, inclusions, and other faults. Chips in particular are important, because they can make the diamond more prone to cracking and shattering. Diamonds are strong, but there are still forces that can ruin your gem under the right circumstances. Everyone, at some point, is going to bang their ring into something or scrape it against a wall on accident. The better the clarity, the less likely something bad will happen from that. There are some obvious faults that can be spotted by an unaided eye just by looking closely, but clarity is usually gauged under a gem microscope. This is another factor where GIA certification will make your life a lot easier. Of course, telling diamond quality can be difficult. If you have any questions on diamond quality then don’t hesitate to contact us. Want to build an engagement ring with a GIA certified diamond? We’re here to help!